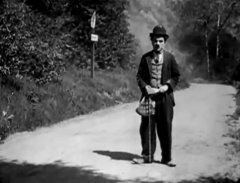 "The Tramp" is one of Charlie Chaplin's Essanay short comedies, featuring Edna Purviance, a star of Silent Hall of Fame. Charlie Chaplin sports his signature image in "The Tramp" (1915). 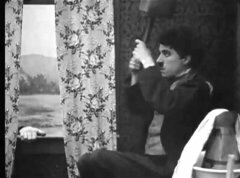 Edna Purviance's stack of bills is in danger as Charlie Chaplin takes an intense look in "The Tramp" (1915). 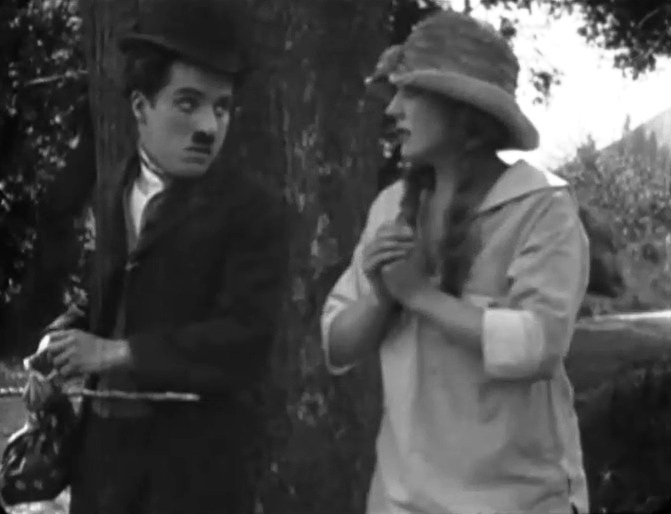 Edna Purviance makes Charlie Chaplin reconsider his loot in "The Tramp" (1915). Edna Purviance looks at Charlie Chaplin's bag in "The Tramp" (1915). Charlie Chaplin prepares to confront a band of thieves in "The Tramp" (1915). Edna Purviance spends time with her father in "The Tramp" (1915). Edna Purviance reads the news to Charlie Chaplin in "The Tramp" (1915).